Business have a unique opportunity to make equality a reality and we need to keep working hard to make this a reality for everyone. Due to lack of understanding of SOGIE, LGBT people are often discriminated against in many workplaces because of their physical appearance. While most employers are not even aware if any of their staff are LGBT, some have negative views of LGBT people because of stereotypes or bad past experiences with LGBT employees. Some colleagues also treat LGBT staff poorly, bullying or teasing them. 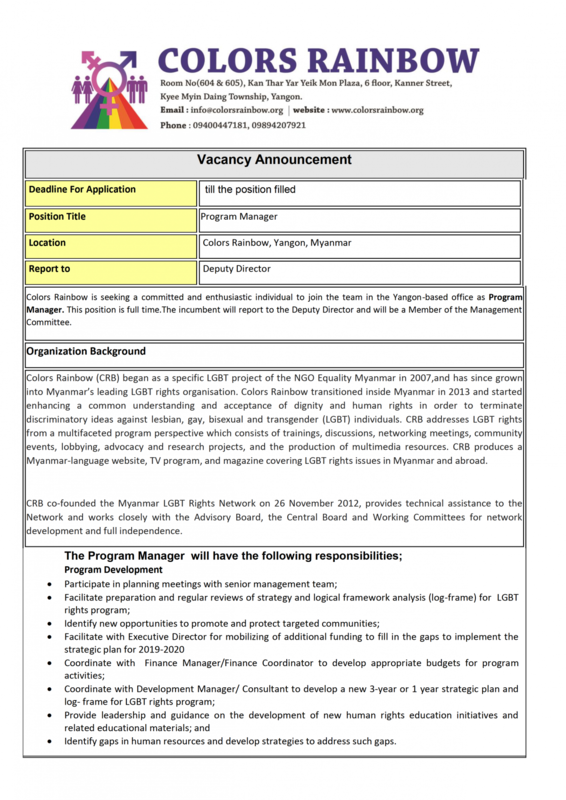 Colors Rainbow recently undertook assessments in Yangon and Mandalay to document the discrimination and challenges LGBT people face in the workplace. These reports establish a baseline against which we can measure our progress and are informing future program activities. 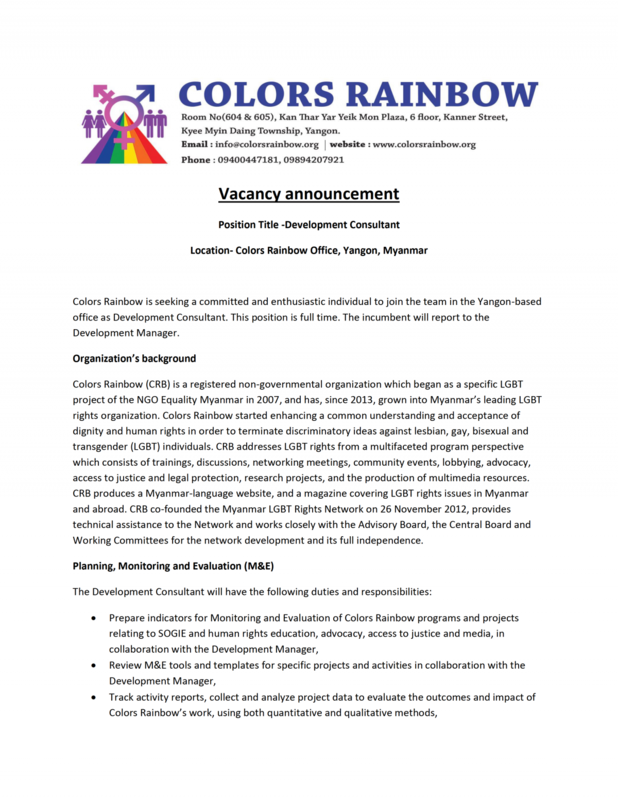 In order to address these discrimination and challenges, Colors Rainbow has initiated a novel program to improve the socio-economic wellbeing of LGBT people. 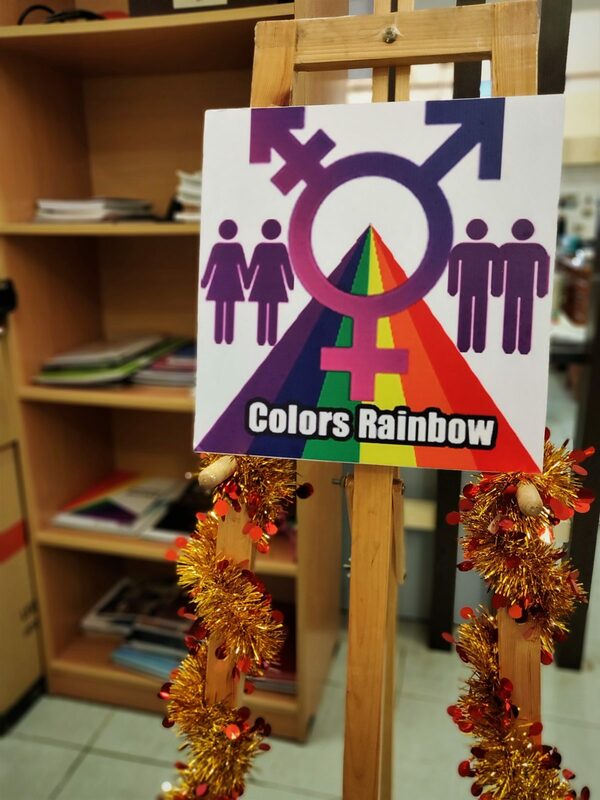 Through our Workplace Equality Program, Colors Rainbow is raising awareness about SOGIE and LGBT people among companies, corporate employees and the Ministry of Labour, Immigration and Population, and advocating for companies to establish non-discrimination and anti-sexual harassment policies. We are also training LGBT employees to understand their labour rights and non-discrimination in the workplace. 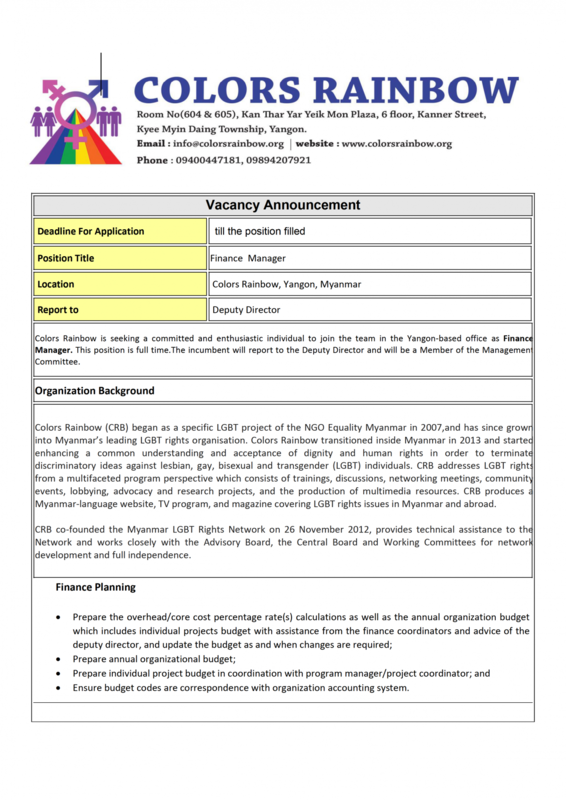 ColorsRainbow Vacancy Announcement - Click here for more detail!! !